Lock in a great price for Idi Hotel – rated 8.7 by recent guests! Great bed, pillows, warm thick duvet with soft cotton cover. Fabulous bathroom, plenty of hot water and water pressure. Nice breakfast. Prickly pear marmalade was amazing. THE IDI is a marvellous family run hotel in the hills of Zaros which has managed to modernise brilliantly without losing its unique character. The accommodation is in cabins/chalets - all very modern in the beautiful grounds. The managers and staff are exceptional. We decided to leave a day early because there was a very unusual thunder storm, and were not charged for the day we had booked but missed. And they also make great cocktails! Our room looked out over a beautiful garden setting around a pool amongst the Rouvas mountains. It was the perfect place to relax and hike the rouvas gorge. The pool was clean and there were plenty of sun loungers and hammocks amongst the trees. Breakfast included a good selection of homemade jams and cakes, omelette and sausages as well as the usual cold meats, cheeses, cucumber and tomatoes. The bar was open all day for snacks and cocktails and the taverna next door (run by the hotel) is also recommended. The hotel setting was really good with a nice green area and a swimming pool. The room was basic, but fine. Parking was easy. The hotel is amazing!!! The room was perfect. Very clean and organized. There are a couple of cupboards, TV and air-conditioning. The bathroom is quite spacious. 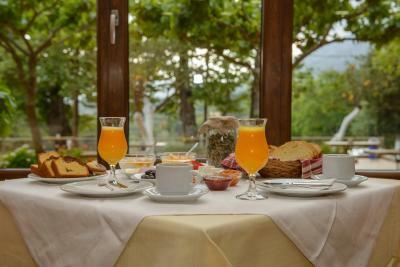 The breakfast was fantastic: everything you could ask for and more. The staff was very attentive and helpful. There is a very nice pool. Close to the hotel, as part of the property, there is a park, where you can observe the fish and other animals or go hiking. 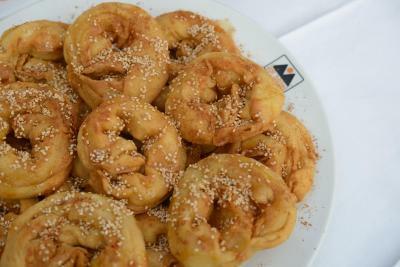 The hotel also counts with a restaurant where you can taste some traditional Greek food. The whole stay was perfect and the kindness and hospitality of the people was the icing on the cake. Grounds are lovely, pool refreshing! Hotel is series of concrete blocks set around large garden open space, all painted in lovely colors. At first glance “modern” but we quickly found it comfy and pleasant. We had a second floor room with balcony - very nice. Good spot to relax and to use as base for sightseeing (45 minute drive to Aghia Galini) and Rouvas Gorge hike. Village has several taverns. Could have stayed here longer: excellent place to enjoy Crete. Good breakfast. Great place to get away from the heat and noise of the major tourist stops in the Mesara. 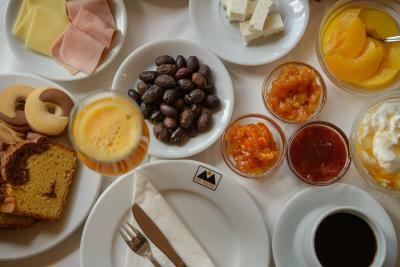 The location was superb, the staff friendly and helpful, the breakfast first class. Very nice and quiet location. Perfect view from balcony. Very good breakfast. It's so simple that few words need being said. We have been here three times over 5 years, and we intend to return. It is so restful that after one year of stress, workloads of all sorts, ideal place to rest for several days. This year again, did not stay long enough. Idi Hotel This rating is a reflection of how the property compares to the industry standard when it comes to price, facilities and services available. It's based on a self-evaluation by the property. Use this rating to help choose your stay! 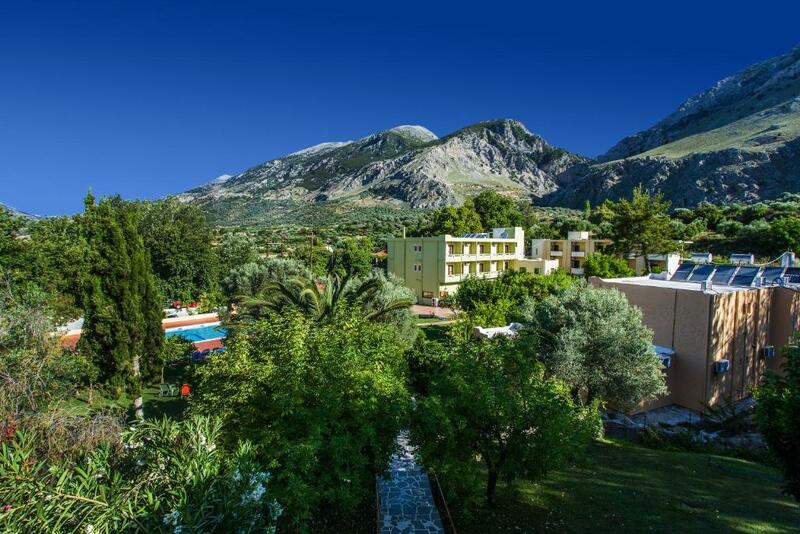 Located at the foothills of Mount Psiloritis, just a few feet from Zaros village, Idi Hotel is a family-run hotel offering traditional accommodations. Surrounded by a garden, it includes a pool, a restaurant and a cocktail bar. Free WiFi is provided throughout. Opening to a balcony, all air-conditioned rooms of Idi are spacious. Free toiletries are included. 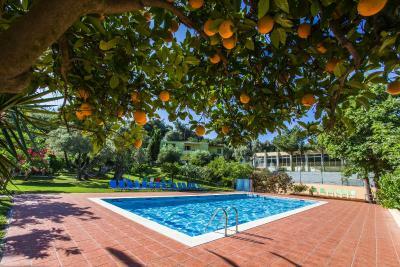 The swimming pool features a sun terrace with grassed and paved areas. Idi also offers tennis court facilities. A buffet-style breakfast is included in the room rate, while refreshing drinks and beverages are served at the tree-lined courtyard café. At Idi Hotel’s tavern "Votomos", guests can taste traditional local dishes and fresh fish from the family’s own fish-farm. Hotel Idi offers free private, on-site parking. When would you like to stay at Idi Hotel? 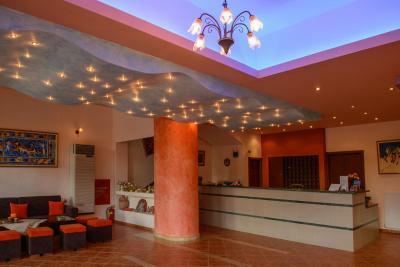 Spacious, air-conditioned room with balcony overlooking the mountain. Offers free WiFi. This room type cannot accommodate any extra guests. Opening to a balcony with mountain views, this spacious studio offers free WiFi. This room type can accommodate up to 4 people. 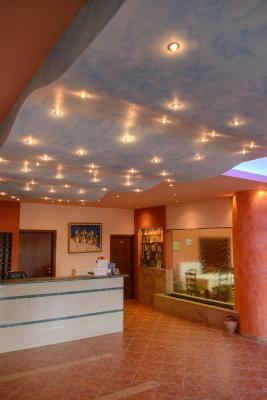 Idi hotel is a family business established in Zaros in 1980. Property is surrounded by the mountain and the flora of the area. Has a big garden with grass, variety of fruit trees and flowers. In the swimming pool situated in the garden, visitors can relax and enjoy the nature around them. Visitors will have the experience, waking up to a symphony of bird song in a peaceful environment, taste fresh fish from our own fish farm, fresh cool water from the nature source located in the entrance of the hotel and the opportunity to view the process of grinding barley and wheat which are converted into flour in the last remaining traditional water mill in Crete located in our property. House Rules Idi Hotel takes special requests – add in the next step! Idi Hotel accepts these cards and reserves the right to temporarily hold an amount prior to arrival. Guests will have the opportunity to view the process of grinding barley and wheat at the traditional watermill of the property. No electric catle in the room, not enough shampoo, the fridge wasn't very good. Nice hotel in an exllent location near the mountains. Good fish restaurant. Comfortable bed. Lovely location in the mountains , close to the gorge and the pretty village of Zaros. Attractive grounds, pool , taverna and coffee shop. Would recommend. Nice location, great views and quite a relaxing place to be. Lots of lounging furniture and hammocks in the garden and around the pool, so it was easy to chill out. The room was comfortable and a good size with a nice bathroom (big shower (lovely!). Breakfast was plentiful! Mountain location with their own taverna next door. There is a fridge in the bedroom if you want to keep things chilled. Very clean. The shower curtain didn’t really keep the water in the shower unit so the bathroom floor got wet. You do need a car to get here and parking can be tight. It’s a bit up from the village but very close to lake votamos. Fab gardens/setting. A kettle was provided when requested. Very nice breakfast! The room (studio for 3) was ideal for traveling with 11yr old child! Good swimmingpool ! We had room 242, it had beautiful views ! Location is beautiful. 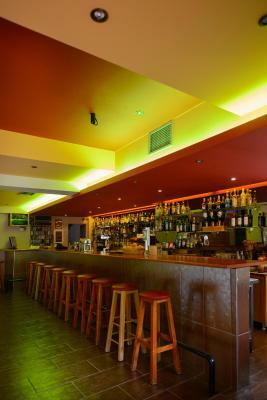 The owners and staff are friendly and couldn't be more helpful. A truly magical place.